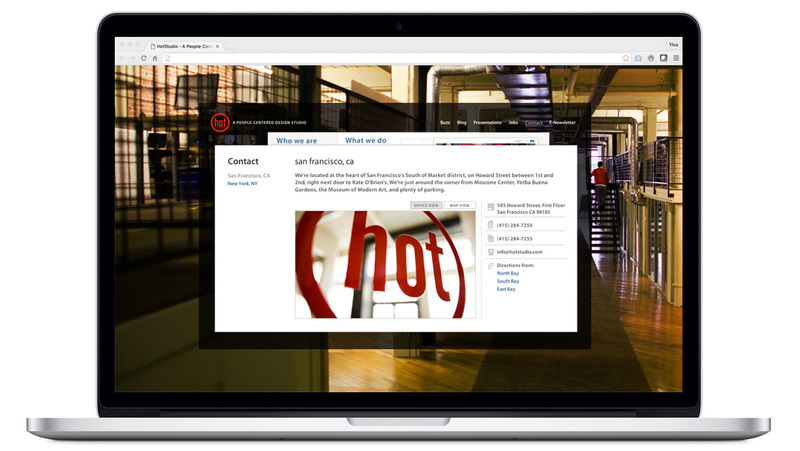 Hot Studio was an experience design company with offices in San Francisco and New York, dedicated to creating elegant solutions for complex design challenges. Hot Studio was acquired by Facebook in March 2013. 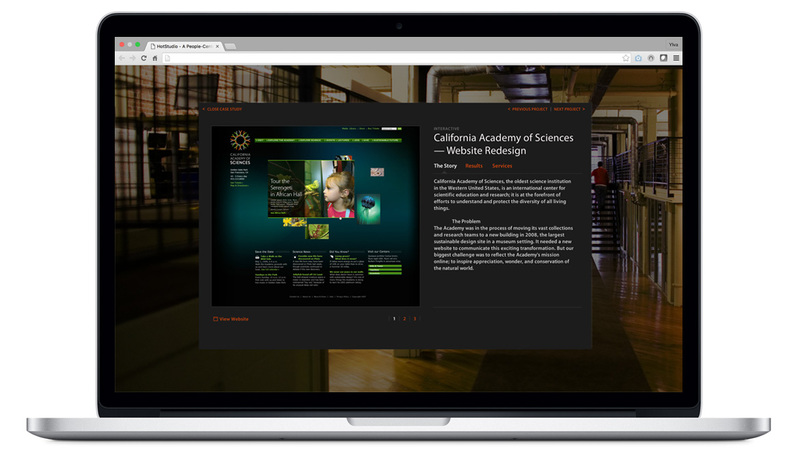 Ylva Wickberg was hired by Hot Studio to develop the agency's corporate website, designed by Cheryn Flanagan. The design required an intricate card layering system with smooth transitions, and Flash was the best platform to fully accomplish this at the time. In order to make this site fast and easily maintained, we decided to use XML to make the site fully dynamic. 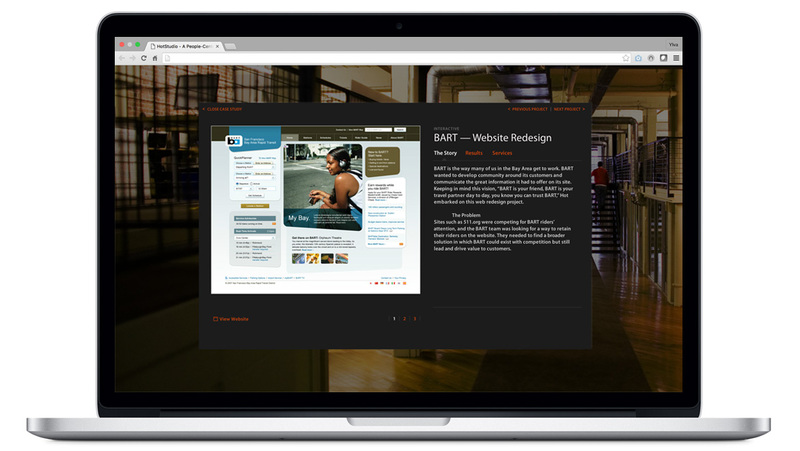 This site was developed in two versions. 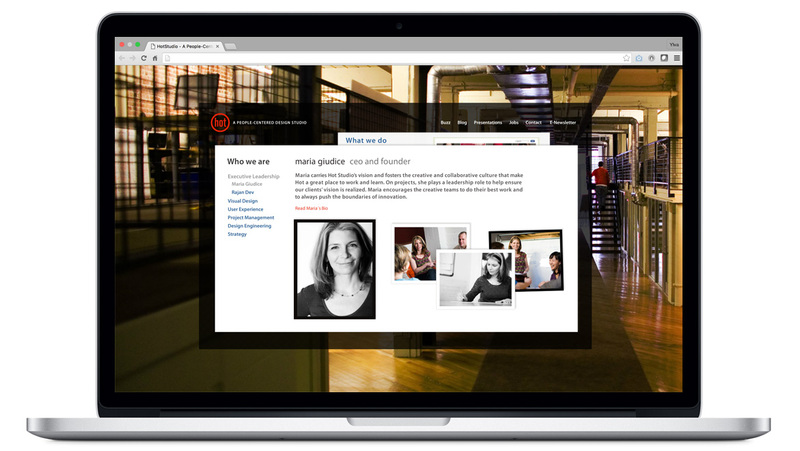 The first version was on a white background with a less involved portfolio section. 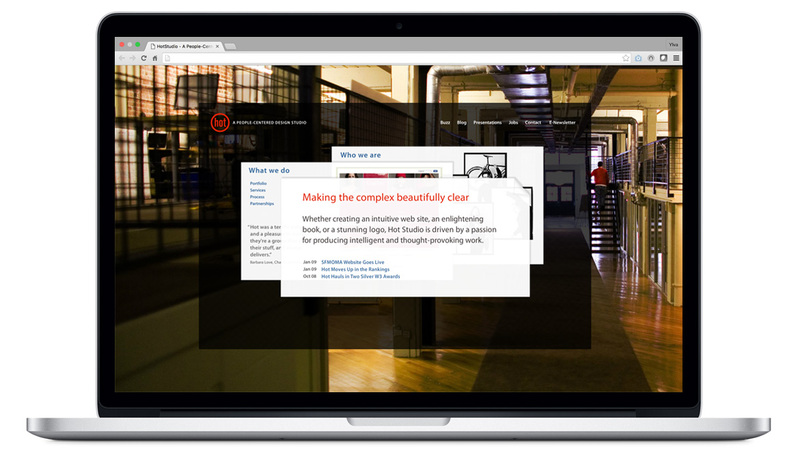 The site was later enhanced with a slightly different look, building on and adding to the existing content and code.